The company providing McDonald’s with french fries in Beijing has been given an unprecedented fine for releasing contaminated water into the city water supply, local media has reported. A joint venture of the US-based McDonald’s subsidiary Simplot and a Chinese company has been fined an unprecedented $632,370, according to Xinhua news agency. The city authorities found the company has been exceeding permitted levels of chemical oxygen discharge into water, releasing 563 mg per liter, while the allowed maximum is 500 mg per liter. The contaminated water then found its way into the city water supply system. China is on a bid to strengthen environmental controls due to increased public anger over growing pollution. It aims to ban several types of water-polluting industrial plants by 2016, including paper mills, oil refineries and pesticide producers. Water pollution in China affects 30 percent of major rivers and 60 percent of underground water. 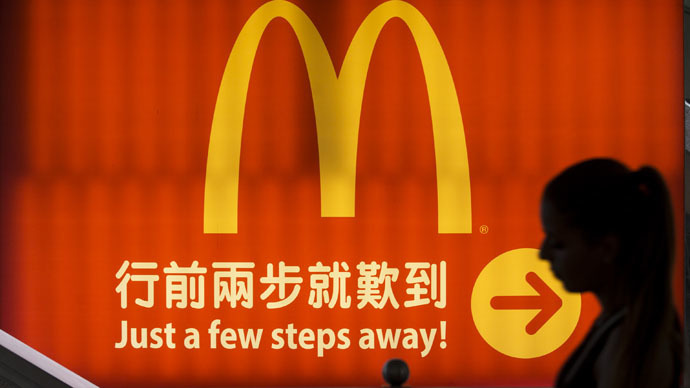 This isn’t the first time McDonald's is finding itself under fire in China. Last year, an undercover media report, which also concerned the fast food company KFC, revealed that their employees had been using meat that was past its expiration date, forging documents about its production time. This caused the companies’ sales in China to slump, and one of their suppliers to suspend operations.